North Park Chiropractic Center is a practice that can fully address the needs of the patient. It is an integrated practice employing the expertise and techniques of Chiropractic, Medical diagnostics, Acupuncture & Massage. Also, Dr.’s Michael & Wendy Russo are “club doctors” for a local fitness center. Our access to a variety of physicians in this area with whom we refer regularly gives us the ability to help you or get you on the right path toward better health. 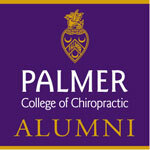 Dr. Mike is currently a member of Withrop University Hospital’s Chiropractic Collaborative program. As chiropractors in Rockville Centre, we are working with medical professionals of all disciplines at Winthrop to better serve our patients with their health needs. The doctors and staff of North Park Chiropractic Center are dedicated to the health of our patients. We advocate a healthy lifestyle and the maintenance of a well functioning body. We provide traditional conservative Chiropractic care in Rockville Centre as well as medical diagnostic & rehabilitative services. We provide expert, traditional Acupuncture services and full-time massage services with a talented and professional therapist. Dr. Michael Russo is a Long Island native who returned after achieving his doctorate degree from Palmer College of Chiropractic in Davenport Iowa. There he was lucky enough to meet a fellow student Dr. Wendy Russo, from Michigan. After being easily persuaded to marry Dr. Mike, they decided to return to Long Island to pursue their professional career in Rockville Centre. They have been here ever since. Dr. Mike and Dr. Wendy have always shared a vision of a health care facility that ran on integrity, quality care and honesty. This vision, as well as hard work, helped build North Park Chiropractic Center in the heart of Rockville Centre. It continues today at our new location on North Centre Avenue. Together Dr. Mike and Dr. Wendy bring a fresh approach to “Family Practice”. Both doctors provide personalized care that targets the patient in turn helping to reduce pain, repair injuries and maintain a healthier body. The doctors believe in strong Chiropractic principles of a healthy spine which result in better overall health and wellness. After a patient’s problems are resolved, periodic care will help prevent future injury. Dr. Mike and Dr. Wendy always educate their patients on home care and exercise to also help prevent future injuries as well. Caring, compassionate, personalized care, that’s the difference at the office of Dr.’s Michael & Wendy Russo. Dr. Michael Russo grew up on Long Island, a graduate of Oceanside High School. Once in college he had planned to enter the health field but was unsure which discipline was right for him. Soon after starting he experienced an injury from an automobile accident that changed his life. Dr. Wendy Russo grew up in the metropolitan Detroit area where she received her bachelor of arts degree in Psychology from Oakland University in Rochester, Michigan. She has been a chiropractic patient since her early teens and comes from a “long line” of chiropractic patients in her family.